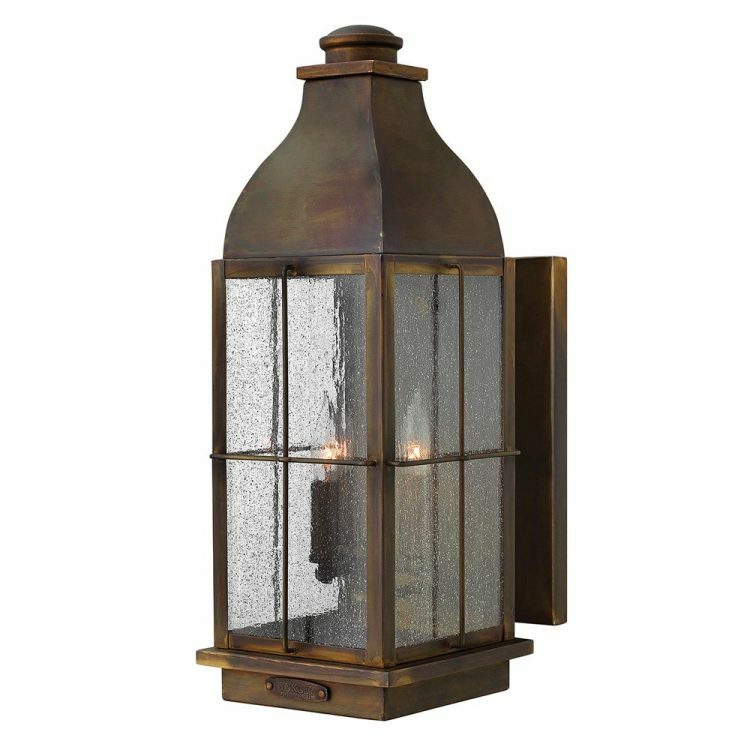 This Hinkley Bingham 3 light large solid brass outdoor wall lantern in sienna bronze finish is rated IP44 and features vintage gas light reproduction style and seeded glass panels. Boasting a large rectangular wall mount and large lantern in Sienna; featuring a tall tapered roof with replica vent and clear seedy glass panels. Three candle style lights are mounted inside to give a bright all round light. This replica light is supplied by Elstead Lighting and designed in the USA by Hinkley, founded in 1922 in Cleveland, Ohio. They have transformed from a small outdoor lantern company to a global brand intent on bringing you the best in style, quality and value designs like the Bingham 3 light large solid brass outdoor wall lantern in sienna bronze finish and rated IP44 featured here.